Chatauqua was an adult education movement in rural America. Theodore Roosevelt called it “the most American thing in America,” while psychologist and philosopher William James found it “depressing from its mediocrity.” In the early 1900s Chatauquas sprang up across the country, beside lakes and in groves of trees, with the goal being to offer challenging, informational and inspirational stimulation to rural and small-town America. 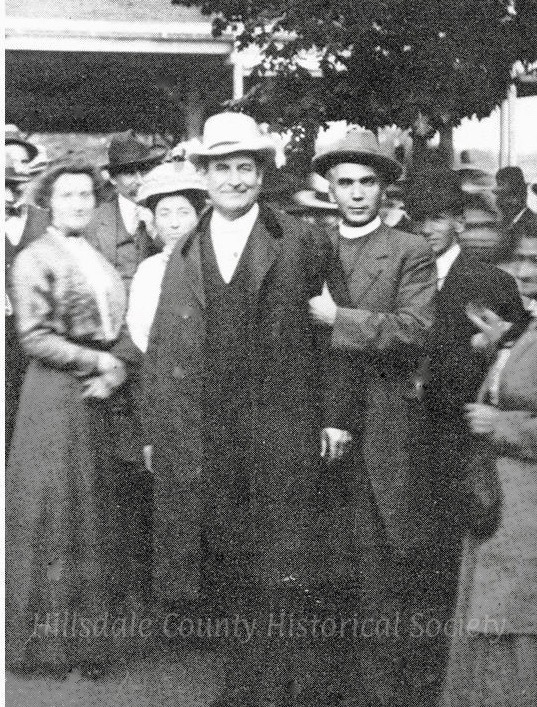 William Jennings Bryan, one of the most popular speakers on the Chautauqua circuit, found equal interest during his Hillsdale visit in 1910. Bryan ran for president on the Democratic ticket and lost in 1896, 1900 and 1904. He had been a favorite with the women, but they weren’t allowed to vote. He was sought after as a speaker on religion and morality. Music fare included everything from Salvator Ciricullo’s Italian Band to Thatcher’s Royal Hungarian Orchestra, both of which performed in 1911. But the favorite remained the Imperial Girl’s Band from Reading. The first year of Hillsdale’s Chautauqua brought the infamous Carrie Nation to town, where she caused her usual stir, particularly during her stay at the Keefer Hotel. Since Hillsdale had already “gone dry” and there were no saloons to destroy, the nearly six foot tall Mrs. Nation found other targets for her ire The self-described “vessel of wrath” (proud of her own 33 arrests) lambasted the Keefer employees for the “indecent pictures in the lobby” of girls with bare shoulders.